New Delhi: Millions of Hindus will wake up at the crack of dawn this Saturday, five days before the start of Lok Sabha election, and march to nearby temples to chant a sacred hymn and renew a pledge to build a Ram temple on the ruins of the 16th-Century Babri mosque. But while the event will keep the focus on a core demand of Hindu nationalists, it will not overtly be part of the BJP's election campaign, signalling a softer approach by the ruling party, multiple sources familiar with discussions told Reuters. The commitment to construct a Ram temple in Ayodhya has been part of the BJP's election manifesto since the 1990s and has helped the party garner Hindu votes in elections since then. 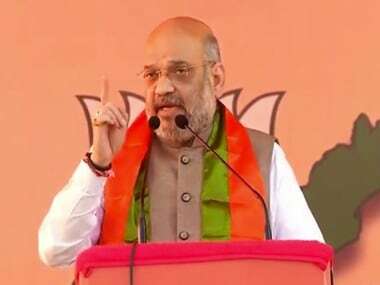 However, the BJP and its allies are concerned that focusing on the temple issue could be too hot to handle, especially since the party is in power now. It could worsen communal tensions and trigger religious riots in the country, said a senior BJP leader. "We cannot underestimate the power of Hindu fringe groups, and it's best not to ignite these issues," said a BJP leader who is overseeing the party's election strategy. The BJP leader and two other senior party members, two central ministers and four members of hardline Hindu groups, who didn't wish to be identified due to the sensitivity of the issue, said they reached a consensus to fold the temple issue into a broader religious and cultural discourse, without being too vocal about it. 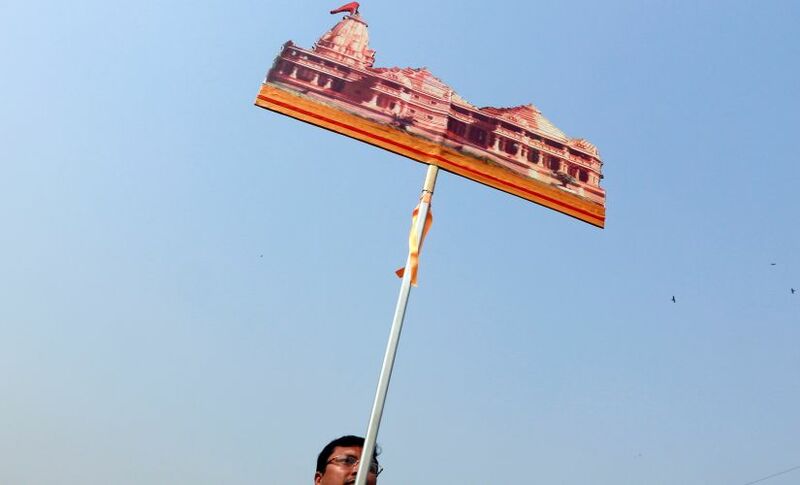 Following a meeting between senior religious leaders and BJP politicians in January, the Vishwa Hindu Parishad (VHP), which is leading the movement for building the Ayodhya temple, put its agitation on hold in February. Details of the meeting have not been published previously. The VHP will renew its demand only after the general election, its leaders said. "While we remain committed to the cause, we're unanimous in our view that it's not the right time to amplify the temple issue," said Alok Kumar, international working president of the VHP. "Politicisation leads to controversies." The VHP has distributed pamphlets and issued appeals on social media to participate in a chanting ceremony aimed at renewing the pledge to build the temple on the spot where many Hindus believe Ram was born, where the mosque stood. Sanjay Mayukh, a BJP spokesman in New Delhi, declined comment on the 6 April event being organised by the VHP. "We wish them (VHP) a success and we will celebrate the Hindu New Year too," said Mayukh. A Hindu mob tore down the Babri masjid in 1992, sparking riots that killed about 2,000 people in one of the worst instances of communal violence in India since Independence in 1947. The mosque, built in 1528, has been one of the prime causes of conflict between Hindus and Muslims, who constitute 14 percent of the country's 1.3 billion people. The Supreme Court is now in control of the site in Uttar Pradesh and has been weighing petitions from both communities on what should be built there. In March, the court appointed an arbitration panel to mediate in the dispute. Its verdict is yet to come. BJP election candidates confirmed they are avoiding the temple issue in their campaigns. Former minister and BJP MP Sanjeev Baliyan, who is contesting the election from a constituency in Uttar Pradesh, said he has instructed supporters to "refrain from using the Ayodhya issue in any political rally." At least 65 people were killed in clashes between Hindus and Muslims in Baliyan's constituency in 2013. "The danger of any religious tension spilling out of our control would change the election mood. Best to keep religious issues away from politics for now," he told Reuters. Instead, Baliyan said, his campaign would focus on the BJP's achievements during its last five years in power and national security issues. Most pollsters expect the BJP to emerge to win the highest number of seats in the election after recent military exchanges between India and Pakistan that led to a wave of nationalist fervour that has helped Modi. 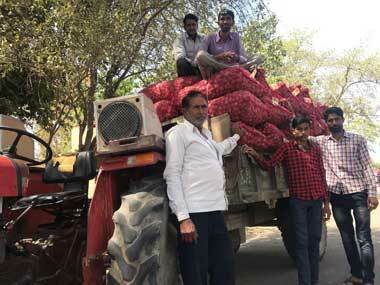 But the pollsters say the BJP is unlikely to repeat its sweeping victory of 2014 because of the government's inability to provide jobs to the millions of youngsters coming into the job market each year and depressed rural incomes. The BJP is also under fire from small business owners, traditional supporters of the party, who say they have suffered because of a rocky start to the Goods and Services Tax, India’s biggest tax reform, and Modi's shock move to ban high-value banknotes in 2016 (demonetisation). The big question may be whether the BJP gets enough seats in the 545-member Lok Sabha to govern without having to form a coalition with other parties. India begins voting on 11 April and the staggered election is scheduled to end on 19 May. Results will be declared on 23 May. 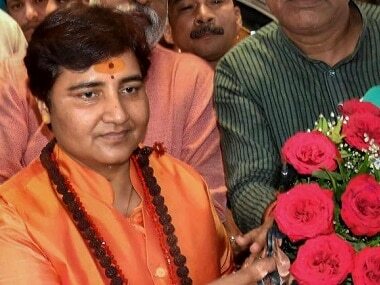 Ambuj Nigam, the leader of the Vishwa Hindu Dal, a hardline Hindu group that came into existence in 2018, said the demand for a temple will gain momentum again after the general election. "We have put all our controversial works on hold," said Nigam. "But as soon as election results are out, we will bring Hindu nationalism back to the forefront."